Take your fitness to new adventurous levels with the Ariel Step-Through a bike thatll see you tackling workouts on paved or dirt paths with equal confidence and control. And with this step-through design riding is even easier as putting a foot down or getting on and off the bike is a breeze. Designed for women who want to mix adventure with fitness the hard-working sturdy A1 Premium Aluminium frame features our Women’s Fitness Geometry—meaning that you’ll go faster with maximum efficiency only without the discomfort of an aggressive ride position and a Step Through frame that makes putting a foot down easy. The more comfortable you are the longer you’ll ride. 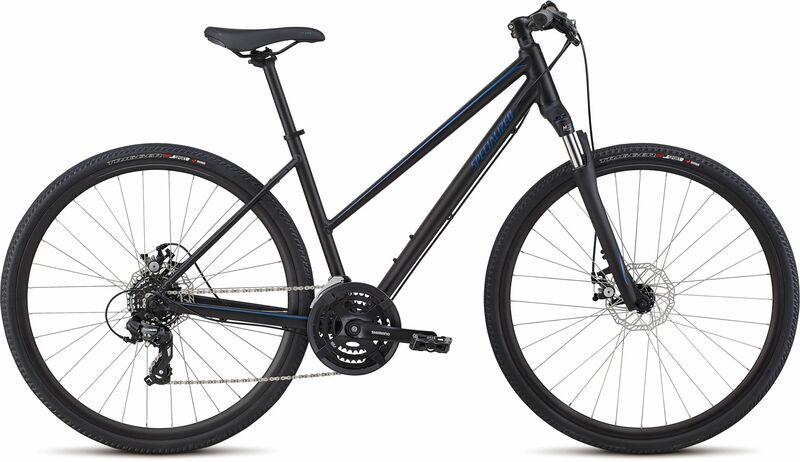 Please see below for delivery options for Specialized Ariel Mechanical Disc Step-through Womens Sports Hybrid Bike 2019.